Some of our dryland corn is now tasseling. The rest of our corn is very, very close to tasseling, and many growers will put out a fungicide. And this is okay. Should we have sprayed before now? 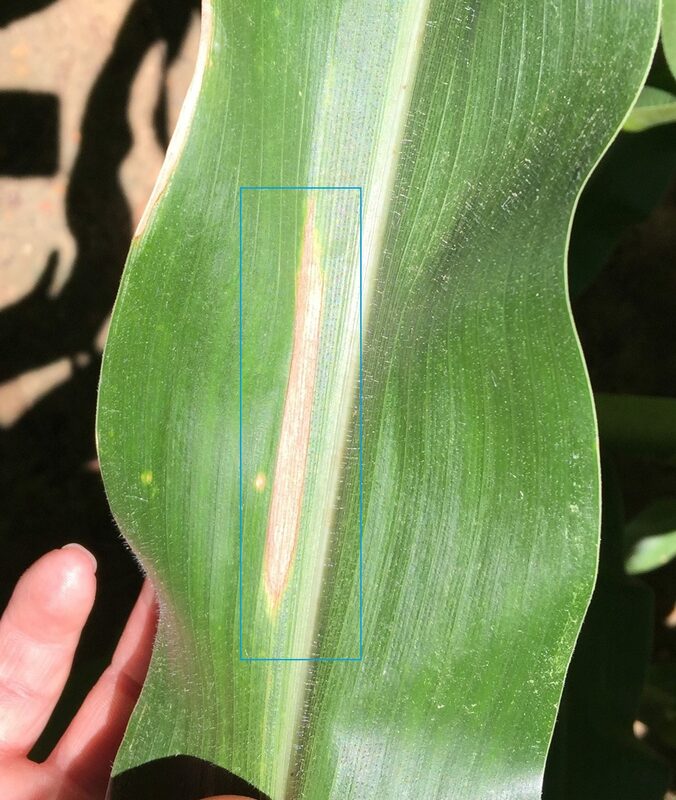 UGA Extension Pathologist Dr. Bob Kemerait has found that early fungicide applications (V5-V6) on early planted (Spring) corn has no benefit to yield and disease, but can have “some” benefit on later planted corn. This is likely because corn planted behind corn will be affected earlier in the growth stage. Former Seminole County Agent, Rome Ethredge found northern corn leaf blight (NCLB) last week. In corn disease, we are mostly watching for southern corn rust and NCLB. We have sentinel plots in the county to help us watch for rust. Unlike NCLB, southern rust is reintroduced each year and spores essentially blow in and re-infect corn. Lesions o NCLB appear as a cigar shape. Photo by Rome Ethredge. Northern corn leaf blight is more prominent where we have corn behind corn, overwintering in the leaf litter as well as irrigated corn. We have less of both situations in Thomas County. In fields with a) susceptible varieties and b) favorable conditions, you can have some NCLB in the field and NOT need to spray. When do we pull the trigger on spraying NCLB?Dr. Kemerait says treat for NCLB when lesions get as high as 3rd leaf from the ear leaf.